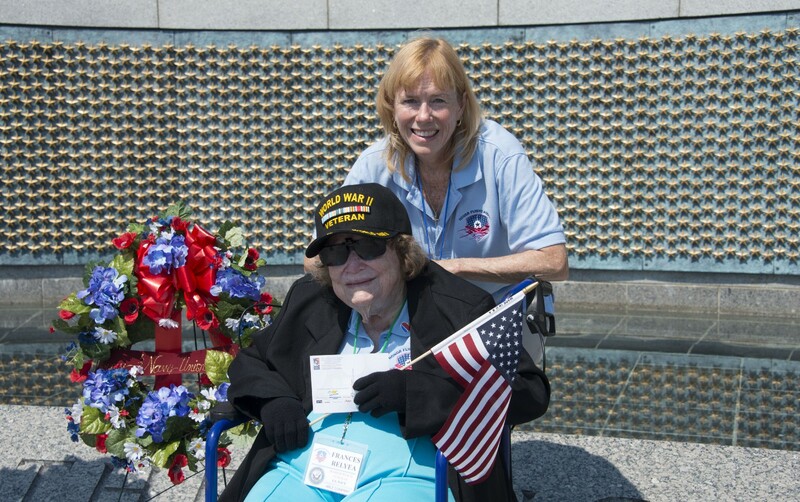 Honor Flight Austin is preparing a special All-Woman Flight to Washington D.C. in October for Woman Veterans of World War II, and the Korean and Vietnam Wars. Honor Flight Austin will fly these Woman Veterans, free of charge, to see their memorials in Washington D.C. They are specifically looking for World War II Woman Veterans from anywhere in Texas, and Woman Veterans who served in the Korean and Vietnam Wars from the following counties: Bastrop, Bell, Blanco, Burnet, Caldwell, Fayette, Gillespie, Gonzales, Lee, Llano, Milam, Travis and Williamson. There are two major memorials in Washington D.C. dedicated to the brave women who have served in our nation’s military and defended our country. One is The Women In Military Service For America Memorial, the only major national memorial honoring all women who have defended America throughout history beginning with the American Revolution. It is located at the ceremonial entrance to the Arlington National Cemetery and was opened to the public in October of 1997. The second monument is the Vietnam Women’s Memorial, which lies in a grove of trees just south of the Vietnam Veterans Memorial. 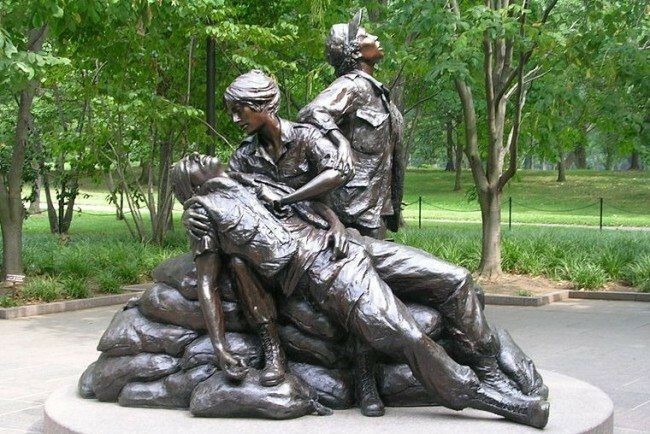 The 15-foot tall bronze statue depicts three women caring for a wounded soldier. There were over 265,000 women — many of them nurses — who served in the Vietnam War. To find information about other Honor Flight Hubs in Texas please visit Texas Honor Flight Connection at texashonorflight.com. Nominating a Veteran for an Honor Flight is easy, just visit their website and fill out a Veteran application to share the name and contact information of the Veteran you choose to honor. Please submit an application if you are interested in being a volunteer or a guardian for Honor Flight Austin. To see photos of past honor flights and read the stories of Veterans who participated, visit Honor Flight Austin on Facebook and Twitter. You can also call Honor Flight Austin at 1–888–530–8880 or send an email to contact@honorflightaustin.org.